now we have hot KYOTO. 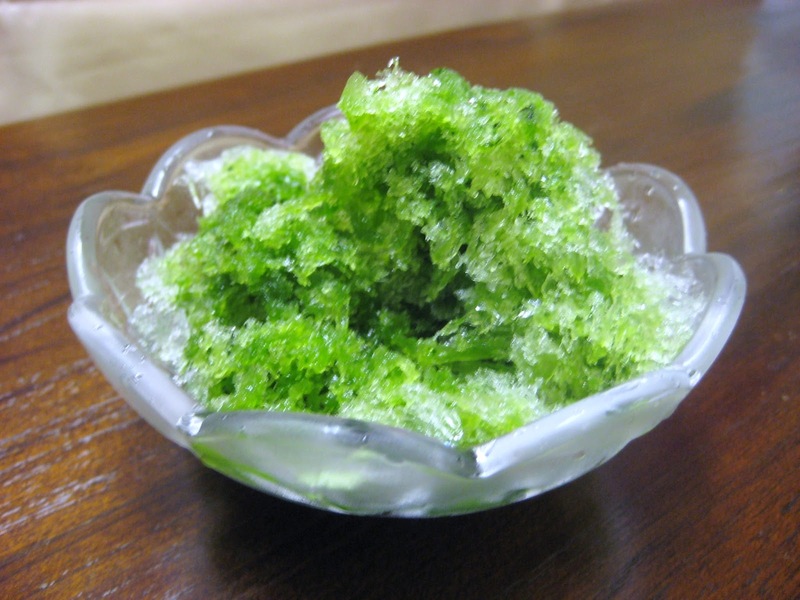 today we have free shaved ice for our guests,now Kyoto is very hot. thank you for participating our japanese tea ceremony in the morning.on July 10th. Yukata is a japanese summer garment. People wearing yukata are common sight at fireworks displays,bon odori festivals,and other summer events. The yukata is a casual form of kimono that is also frequetly worn after bathing at traditional Japanese inns.Though their use is not limited to after-bath wear,yukata literally means bath(ing) clothes. We will start shaved ice with Matcha (Green powdered tea) syrup service from July 1st. This Matcha syrup is Ryuuouen, one of the most famous Matcha shop in Kyoto, brand. Let's eat yummy ice and feel cooler in summer!! now we have 4 rent bicycles, per 1day per 1000 yen. would you plese use it.